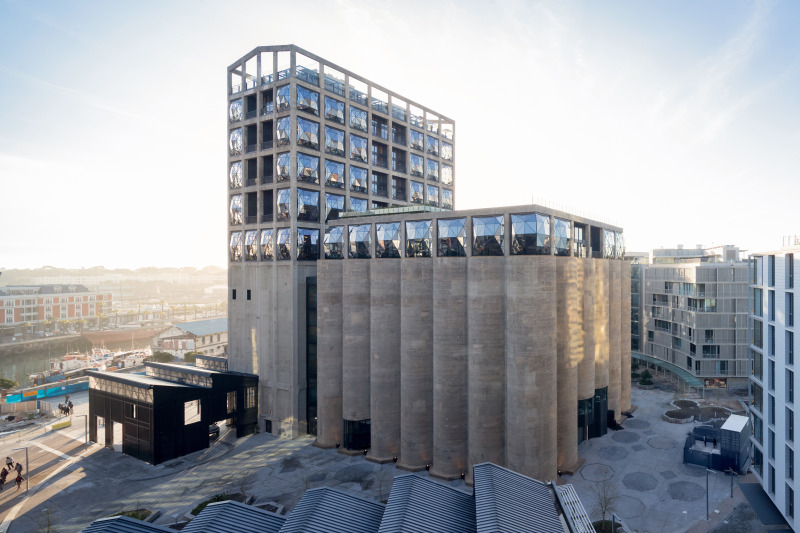 Once the tallest building in South Africa, used to store grain and maize from all over the country before being shipped across the world, the V&A Waterfront’s historic grain silo has been reimagined into the world’s largest museum dedicated to contemporary art from Africa and its diaspora – the Zeitz Museum of Contemporary Art Africa (MOCAA). 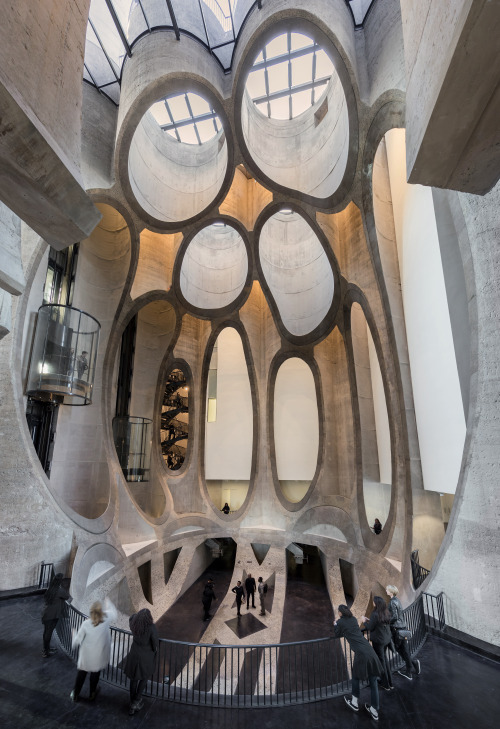 The grain silo’s architectural redevelopment from disused industrial building into a cutting-edge contemporary art museum was undertaken by London-based Heatherwick Studio in conjunction with local South African architects, and funded by the V&A Waterfront at a cost of R500 million. WALLS & ROOFS checked in with the local executive team of Van der Merwe Miszewski Architect (VDMMA), Rick Brown and Associates and Jacobs Parker Architects, who have seen this project through from start to finish. Rick Brown from Rick Brown & Associates further points out that the original steel and concrete building dates back to the 1920s. “The architecture back then had an industrial feel and it was important that the final product also reflects this era,” he states. In preserving the architectural industrial legacy of the grain silo, the main challenge was to convert the 42 tightly packed cellular silos’ concrete tubes into spaces suitable for displaying art. In order to create the 27m high volume that provides access to the gallery floors around the atrium, the existing concrete first had to be reinforced, so the 170mm thick, brittle concrete tubes were lined with inner sleeves of reinforced concrete. This created a stable composite structure of 420mm thick in line with the desired shape. “Once the old and new concrete was connected, the existing concrete tubes were demolished and cut to reveal the rounded shape of the atrium,” explains Jacobs. The existing tubes were pared back to reveal the curved geometries of the 4 600m³ atrium and the cut edges were polished to give a mirrored finish that contrasts with the building’s rough concrete aggregate. “This was a very complicated exercise, but one that was really well executed on site,” continues Jacobs. “It required a lot of coordination with the engineers and contractor, considering various options in terms of how we would actually cut the tubes to the desired shape and looking at different ways of finishing the new concrete. The design, engineering and construction challenges were all intertwined, but that is what made the atrium space really challenging but also rewarding to achieve,” he states. In addition to adding new concrete to strengthen the structure, Rubidge notes that the external, retained concrete was treated in one section with a hydrophobic coating to expel water and protect the reinforcing within it. Another very fragile portion was covered with a waterproofing coating to prevent potential damp issues in the building. With steel being an integral part of the industrial look, Rubidge points out steelwork features such as the spiral stairs and bridges, the lift shafts and the square pillow facades on the top part of the building. However, Brown, whose practice was also responsible for the documentation and buildout of the Silo Hotel, mentions that integrating the hotel room layouts within the relatively small structural grid of steel columns and beams was a huge challenge that required careful planning. “Another innovative feature, the bubble windows, provided the facade designers and manufacturer with a kind of new icon in converting the existing grain silo elevator building into a lantern in the Waterfront, thereby retaining its importance of place in the harbour,” continues Brown. Inspired by the bulging glazed texture of a Venetian lamp, the glazing on the tower portion of the silo complex was designed to give a convex effect. Today, the museum features 9 500m² of custom-designed space, spread over nine floors. The development includes 6 000m² of exhibition space in 100 galleries, a rooftop sculpture garden, storage and conservation areas, a bookshop, restaurant and bar, and various reading rooms. The museum will also house a Costume Institute and Centres for Photography, Curatorial Excellence, the Moving Image, Performative Practice and Art Education. The founding art collection, the Zeitz Collection by museum patron, Jochen Zeitz, is on long-term loan, and forms the basis of the extensive art on display. “This project would not have been possible without the vision and involvement of the V&A Waterfront and its development manager, Mark Noble, and certainly not in the form that has realised,” notes Rubidge. “In South Africa, generally, art museums and galleries are not prioritised as much as in other international cities, but this project has drawn attention to this kind of work and is really positive for the city. What’s more, it is good to know that we are able to successfully deliver work of this standard domestically. African practices were up to the task and I think it speaks a lot about the depth of experience and expertise that we have locally within South Africa,” Jacobs concludes. Full thanks and acknowledgment are given to Zeitz MOCAA, Heatherwick Studio, VDMMA, Rick Brown and Associates Architects and Jacobs Parker Architects for the information given to write this article. Caption main image: The proportions of the tower portion of the silo complex made it unsuitable for exhibition space. The design team reconceived this structure as an illuminated beacon. By night, the building acts as a lantern for the harbour and the city beyond.